CHAPTER V. Trench Tours on Vimy Ridge - Capture of Vimy Ridge - Road Building After the Victory - Arrival of the 67th Bn - Two Tours in "The Triangle' - Concerning Moving Pictures. From the beginning of 1917 throughout the series of operations which culminated in the capture of Vimy Ridge on April 9th the history of the 102nd Bn. is a story of preparation, progress and achievement. When the battalion entered the Vimy Sector the latter had a reputation for quietness and peace unequalled in any other sector; casualties were few; the awful slaughters of 1915 when French blood had flowed like water to gain the Ridge were a memory of the past. The later struggle when the British, to whom the Ridge had been handed over, failed through insufficient artillery to hold it against overwhelming odds backed by guns of every calibre, was almost forgotten. The Germans were now firmly and as they believed impregnably established on the crest of Vimy Ridge, whence they had complete observation of all the country lying to the south, whilst the British were entrenched on the southern slope leading down to Zouave Valley, every approach to which was in full view of the Hun. Supply trains had nightly to run the gauntlet of the enemy's fire and the situation had gradually settled down to the trench life of regular monotony which had featured the years of warfare since the Battle of the Aisne. The operations of the 102nd Bn. which now entered the area are clearly divided into three distinct sections:-the first, -a series of five tours in the trenches with six days' interval between each, lasting from Dec. 21st, 1916, to the end of March, 1917; the second, the three day tour which included the Battle of Vimy Ridge; the third, a series of three tours in the area lying between the crest of the Ridge and the suburbs of Lens, comprising the actions known in the battalion as the First and Second Triangle operations. When it is realised that the casualties for the first section only totalled 14 Other Ranks killed, and 1 Officer and 24 0. R. wounded, whilst the second was responsible for 6 Officers and 121 0. R. killed, 9 Officers and 185 O.R. wounded and 27 0. R. then reported missing, and the third for 5 Officers and 46 O.R. killed, 9 Officers and 239 O.R. wounded with 6 O.R. reported missing, the increasing severity of the operations in this sector will be at once obvious. It was not until Dec. 20th that the battalion entered into any active operations and for fifteen days we lay at La Comté, thoroughly appreciating the rest and change after the arduous tour on the Somme and the heavy marching which had supervened. At best however, La Comté was no village to write home about and during our stay the weather was for the most part so atrocious that it was only by comparison that our surroundings could be considered enjoyable. There was no form of recreation available, and the nearest town, Bruay, was too far distant to be of much practical use, besides being out of bounds. On the battalion went over there to use the miners' baths and the excellence of the accommodation was a revelation to most of us who had no idea that Industrial France was so up to date in this form of sanitation. Generally speaking sanitation is so much at a discount both in French and Belgian country districts that the public bathing facilities in the industrial areas always came as a pleasant surprise. On the occasion of this bathing parade we had experience of one of those curious anomalies which have always been such a feature of the British way of doing things. It was a pouring wet day and the men had to march five miles through the rain and mud to Bruay and back the same distance; on the return journey, they met a large detachment of German prisoners being driven in motor trucks to take their periodical bath; the Soldiers of the King had to "hoof it" the ex-soldiers of the Kaiser drove to their ablutions in state! Further comment is unnecessary. On the same night an anniversary dinner in honour of the inauguration of the battalion was held in the Officers' Mess and was attended by the Divisional and Brigade Commanders' with their respective staffs. During the following week we had three important visitations: -measles appeared in our midst, but fortunately there was no serious outbreak and prompt quarantine measures sufficed to hold the epidemic in check; the second event was the arrival of the ballot and those men who had not previously voted in England on "Prohibition" and "Woman's Suffrage" were privileged to register the votes which were never afterwards taken into account. It is a wonderful system. which goes to the trouble and expense of registering votes, which are later to be thrown out of court, but every country has its own peculiarities as we had ample opportunity of judging. Continental Europe has a penchant for advertising its manure heaps outside its private houses; Canada rather enjoys washing its dirty linen in public; it's merely a distinction without much difference. Thirdly, and this was 'the most important event, the Corps Commander, Lieut-General Sir Julian H.C. Byng, K.C.B., K,C.M.G., M.V.O., visited the area and held a Decoration Parade at which some of the medals won on the Somme were presented to members of the 102nd after which the battalion "marched past." On the 16th December Colonel Warden left the unit for a ten-day course at Boulogne, leaving Major Worsnop in command, and the following day saw the battalion in heavy marching order, enduring first a C. O. 's inspection and then a long Church Service. It is seriously open to doubt whether the cause of religion is furthered by the infliction of unnecessary physical discomforts, and to keep men standing long hours in bad weather heavily burdened with their full quipment savours more of the worship of the Devil than of the Prince of Peace. It certainly drives more men to the former than it leads to the latter. On Dec. 20th our days of rest were numbered; no one was very sorry to leave La Comté and certainly nobody regretted saying farewell well to the ancient chatelaine of the Chateau where Headquarters had been established, a virulent grand-dame with the disposition of a crab-apple and the tongue of a dyspeptic corncake. It was 7.00 a.m. when we fell in and marched off to Cambligneul, a rather large village ten miles away, where the Companies and Headquarters were billeted for the night, the Transport Lines proceeding three miles further to Gouy Servins, a hamlet which was to serve as our base for some weeks to come and in the neighbourhood of which we were to be quartered at intervals for another eighteen months. The following morning saw us on the way to the Forward Area where we were to relieve the 15th Bn. in support in Cabaret Rouge, Headquarters being established on the Arras-Souchez road in view of Lens. Here we were temporarily attached to the First Division and for two days supplied working-parties. On Christmas Eve we were relieved by the 75th Bn. and marched back to Reserve in an oasis of mud known as Berthonval which we were to know well during the next six months. Our first view of Berthonval was our worst; it was dark when we arrived, rain was failing and the mud was treacherous and slippery; accommodation was very bad. In course of time Berthonval was made into a good camp; for three months the same Brigade used the area and the battalions had a chance to make things rather more comfortable, but in the beginning it was bad. The whole of this area, Front Line, Support and Reserve, betrayed the grossest neglect by the units using it in the summer and autumn, no effort apparently having been made to put it in good shape for the winter. In this wilderness we spent our first Christmas "over there" and not even the small portion of plum pudding which was served out at dinner could create any kind of a festive atmosphere. On the 27th we moved no to the Front Line and relieved the 54th Bn. on the northern side of Zouave Valley. The first view of this valley as approached through Wortley Trench was rather wonderful. The Ridge rises up behind it and the whole of the hillside facing the oncomer is honeycombed with dug-outs, the general effect calling to mind the pictures the Cave dwellers of Central America. The Ridge itself was a marvel of engineering; it was pierced here and there with tunnels, each having extensive ramifications; a light railway ran down the valley on its southern slope; water was piped to it across miles of open country. It sometimes seemed as though the Hun was so confident that it could never be captured that he was willing to allow any reasonable operations to be carried on without too much interference on his part, just so as to keep his enemies busy and incapable of doing him mischief elsewhere. To a battalion with previous experience on two other fronts the first tour in a new area was naturally of peculiar interest; but when all is said and done, there was not much to choose in Front Line work. If the mud in the Salient was stickier, the mud on the Somme was deeper, and that at Vimy was remarkably like both varieties, though it had a tendency to dry up quicker. The scenery was certainly better than that on the Somme and the local inhabitants were certainly pleasanter than those we had first met in Flanders, but the Front Line trenches and the work involved by their occupation remained the same; so many days in Support, furnishing working parties, so many in Reserve, furnishing working-parties, and so many more in the Front Line itself, mounting guard, manning posts, sending out patrols, ever in readiness to resist attack, subjected to Fritz' Hymn of Hate, whenever he felt like hating, and, so as not to lose the habit, furnishing working-parties. Then, after the 18-day tour, a tramp back from mud up to the thighs, through mud up to the knees, to mud well over the ankles. The six-day rest was always a gamble; the battalion might be sent to a town where eggs and chips could be bought and where estaminets, as the local "pubs" are called, provided a little refreshment in the shape of beer or stout; or it might be sent to one of the rest camps provided, isolated huts in a sea of mud, with one Y.M.C.A. tent providing the sole form of recreation for two or more battalions. Our first rest, on Jan. 2nd, took us to Camblain L'Abbé, one of the many villages in the rear of the Allied positions and all very much alike. Divisional Headquarters were established in Camblain L'Abbé and perhaps it was one of the best villages in the area from the point of view of the "egg and chip" fiend, but the- Divisional baths there were particularly vile; the Diary for its entry of Jan. 3rd states: "Bathing parade; by far the worst managed and most insanitary baths yet encountered; very little water, very thinly sprinkled; both time and water insufficient for the men to cleanse themselves. Underclothing insufficient and not properly sterilised." Such extracts may appear in the light of a comedy nearly three years after the event, but they more nearly approached the narration of a tragedy when they were originally penned. During this first week the battalion was reinforced by a draft of 195 men who were formed into an "E" Co. and under-went special training under Brigade. The second tour in Vimy differed little from the first save in the location of the Support area which was changed to a series of trenches known generally by the name of "Music-Hall," the subsidiary trenches being named after well-known London music-halls, most certainly an instance of "lucus a non lucendo," for the only music heard was the humming of aeroplanes and the whistling of shells; this Support position was located on the ridge bounding the south of Zouave Valley. During all tours in this area one company of the battalion in support Was sent forward to be attacked as a working-party to the battalion in the front line. The weather grew steadily colder, but this was a welcome change; the days were bright and clear and the frost kept the trenches clear of mud. Our second tour came to an end on Jan. 26 when the battalion marched out before noon to Villers-au-Bois, a ruined village whose only feature of interest was the big CEM, where wagons were waiting to take the men's kits; our destination was Coupigny, eleven miles from the Front Line, and a hot meal was served at Villers before the men continued on the long tramp to billets. Coupigny deserves a new paragraph to itself, but it is necessary first to make some digression and relate various important changes which were made in the personnel of the Battalion Staff during the early part of 1917. On Dec. 31st Major C. B. Worsnop, D.S.O., was notified that he had been appointed to the temporary command of the 50th Bn. and on that day he left the 102nd. This officer was later transferred to the command of the 75th Bn. which he commanded on April 9th, subsequently being transferred to England where he eventually took over the command of the 16th Reserve Battalion at Seaford. His place as Second-in-Command was taken by Major A. B. Carey, who had joined us from the 67th during the Somme operations where he had been wounded, and on Feb. 14th the latter succeeded to the Acting Command of the battalion owing to the absence of Colonel Warden, who was struck down by paratyphoid and sent to the South of France for treatment. This position Major Carey held until Colonel Warden's return at the close of the great battle on Easter Monday, his own duties as Second being taken over by Major F. Lister, M.C. The Adjutant throughout practically the whole of the Vimy Ridge tours was Capt. J. B. Bailey, with Lieut. J. L. Lloyd, who had been granted a commission at the end of December as Assistant Adjutant. The four Company Commanders of "A," "B," "C" and "D" Coys. respectively were Major F Lister, succeeded by Lieut. J. H. Wilson, Major J. F. Brandt, succeeded by Lieut. E. L. Peers, Major R. G. H. Brydon and Major H. B. Scharschmidt, succeeded by Lieut. H. G. Dimsdale. Capt. N. M. McNeill who had come over with the unit as Medical Officer had been invalided sick in the Somme, and his place taken by Capt. L. B. Graham, who, on going sick, made way for Capt. Woodley, who was in his turn relieved by Major W. Bapty, of Victoria, B.C., on March 12th. Major Bapty had already seen active service with the 2nd C.M.R., having joined that unit as a combatant officer and later transferring to the C.A.M.C. Major Bapty remained as M.O. with the I02nd Bn. for eight months, and was twice wounded in that time, being finally invalided to England in consequence of a wound received at Passchendaele. It may be permitted here to remark that addition to being a first-class, M.O he was a most inveterate souvenir hunter and if only a reasonable percentage of his packages reached their destination he must now have a most wonderful collection of battlefield junk. The duties, of Quartermaster were largely undertaken by Lieut. R. Fitzmaurice acting for Capt. Stead who was under medical care during the greater part of this period. Coupigny, whither we repaired on Jan. 26th, was by far the best place in which we had yet been billeted; it could be dignified by the name of a town; it was really a double-barrelled affair and was more correctly known as Hersin-Coupigny, Hersin being the town at the south-western end, stretching away to the coal mines at Noeux-les-Mines, and Coupigny lying nearer to our own front; the two being connected by a long street. At Coupigny good hut accommodation was provided, though on the occasion of our first visit the cold was so intense and fuel so scarce that it was difficult to keep warm enough to sleep. But for the first time since we had landed in France we had a real town to look at and spend money in and the change was exceedingly welcome. Later on the Transport Lines were to move down from Gouy Servins and take up quarters in Hersin, an inconvenient arrangement from the point of view of transport as there was a very bad hill leading out of Coupigny which entailed a very severe strain on the horses. But Hersin was a far better permanent base than Gouy, concerning which some description will be given later. The third tour in the line, which started on Feb. 1st, was marked by increasing aerial activity, in which the enemy generally seemed to hold the advantage; one little red machine of his was particularly noticeable and scored victory after victory. The artillery work on both sides increased in volume throughout this tour and four raids, two by the 72nd Bn., one by the 38th, and another by the 10th Brigade were staged. An incident occurred on the night of Feb. 17th, which might have had very serious results for the battalion. A supply of gas was being brought up to Zouave Valley for use in a big gas attack planned for the end of the month; the gas came up as usual in big cylinders transported by the mule team over the light railway; just as the train came into the 102nd area the Hun opened up a fierce bombardment of the valley with whizz-bangs which fell all round the train, causing several casualties and killing two of the mules, but not one of the dangerous cylinders was touched. On the conclusion of the third tour, on Feb. 19th, the unit returned to Coupigny Huts. The fourth tour did not open until the 1st March though we had all expected to move up as usual after six days. The reason for this delay was the postponement of the gas attack referred to above which was rendered inevitable by the wind conditions. The 54th and 75th Bns. had been scheduled to take part in the raid which was to follow the projection of the gas and these two units had to remain in the line until the wind was favourable; meantime the 102nd was ordered to "stand to" in rest billets ready to move up at a moment's notice. On the last night of the month the attack and raid were delivered addition to being a first-class, M.O he was a most inveterate souvenir hunter and if only a reasonable percentage of his packages reached their destination he must now have a most wonderful collection of battlefield junk. The duties, of Quartermaster were largely undertaken by Lieut. R. Fitzmaurice acting for Capt. Stead who was under medical care during the greater part of this period. The fourth tour did not open until the 1st March though we had all expected to move up as usual after six days. The reason for this delay was the postponement of the gas attack referred to above which was rendered inevitable by the wind conditions. The 54th and 75th Bns. had been scheduled to take part in the raid which was to follow the projection of the gas and these two units had to remain in the line until the wind was favourable; meantime the 102nd was ordered to "stand to" in rest billets ready to move up at a moment's notice. On the last night of the month the attack and raid were delivered and, though successful from a military standpoint entailed disastrous results to the two battalions of the 11th Bde, concerned. The gas hung low on the area over which it had been projected and when the time came for the raid it had not been sufficiently dispersed; moreover the enemy in anticipation of this "follow-tip" swept the gassed area with his fire, with the result that the 54th and 75th suffered heavily in casualties which included Lieut.-Col. Kemball and Lieut.-Col. Beckett, commanding the two units respectively. On the following day the 102nd moved into reserve at Berthonval, the delay slightly altering the usual routine, and remained there till the 7th, when it moved into the Front Line, relieving the 87th and taking over the positions usually embraced by both the 11th and 12th Brigades. The Front Line trenches were in bad shape; the retaliatory bombardment by the enemy had merged Sombart and Snargate trenches into one and a great deal of hard work was needed to put the area into a safe condition. This was our "job" till the 11th, when we moved back to rest in what was perhaps the worst camp outside of Vadincourt that we ever visited, Bouvigny Huts. It was a nine-mile march to this camp, which was situated in a wood on a hill above Gouy Servins; the weather was bad, the mud intense, the accommodation crowded; the 87th shared the camp with us and for eight days we lingered there with no recreation other than that afforded by one Y.M.C.A. hut which was always packed to the doors. It is a positive fact that man after man when out at rest under these conditions would emphatically declare that he was looking forward to going up the line again because life in the trenches was less irksome and monotonous and no more beastly than in places like Bouvigny Huts. This is merely a statement of fact and not a criticism of the organization: in view of the number of troops to be looked after and the limited possibilities of accommodation in the whole of the shell-shocked area round Vimy we were lucky not to be sleeping on the ground; but the statement is made to show that life behind the lines was not lived out upon a bed of roses. On the 19th, we moved forward again for our fifth tour, the principal object of which was the digging of a new front line trench; all the trenches were in bad condition, but few men could be spared for maintenance work, and throughout the tour every effort was concentrated on the successful completion of the task assigned. Two days after our entry into the Forward Area our spirits were cheered and our bodies refreshed by the re-appearance of the rum issue. Reference has already been made to the stopping of this issue in the 11th Brigade, and now at long last the restriction was removed, largely owing, it is believed, to the, representations of medical authorities, although it was also realized that discipline was threatened when men of one brigade were thus penalized, though working in juxtaposition with men of other brigades who were permitted to enjoy the issue. On the 25th the new trench was completed, and on the following day the Battalion was relieved by the 54th, "A" and "B" Companies, with Headquarters, moving to St. Lawrence Camp at Chateau de la Haie, "C" and "D" Companies remaining at Berthonval under Major Lister, to provide working parties; these Companies exchanged positions on the 30th. This was our first experience of the newly-constructed camps in the grounds of the Chateau de la Haie. The latter was a fine stone building standing in beautiful park grounds which had been taken over by the Allies for military purposes. For very many months it was used for Brigade Headquarters by the Divisions operating in the Vimy sector, and in the surrounding grounds there sprang up four camps, known as St. Lawrence, Niagara, Canada, and Vancouver A good bath-house was constructed at the bottom of the slope leading down from the Chateau, and later in the year a fine theatre was built. During the summer the camps around the Chateau were pleasant enough, but in the early days of their being, when the weather was inclement and the accommodation limited they suffered badly from the mud, which was always well over the boot-tops and frequently engulfed a man to the knees. It was to St. Lawrence Camp that the 102nd Bn. came on the completion of the fifth tour, which also saw the end of the first section of operations on Vimy Ridge. It must not be imagined that because this first section has been dismissed with scant reference to the sterner side of war that the Battalion had been having an easy time during the first three months of 1917. It is true that casualties had been few, but the work throughout the five tours had been hard and unceasing, and the discomfort of trench life had been encountered in their most exaggerated form. The trenches, when not frozen, had been frequently flooded and were always full of mud; vermin were at their worst, and these conditions had produced an epidemic of myalgia, violent and unremitting pains, principally in the legs: except in very severe cases, however, where a high temperature obtained, this malady did not excuse a man from duty. 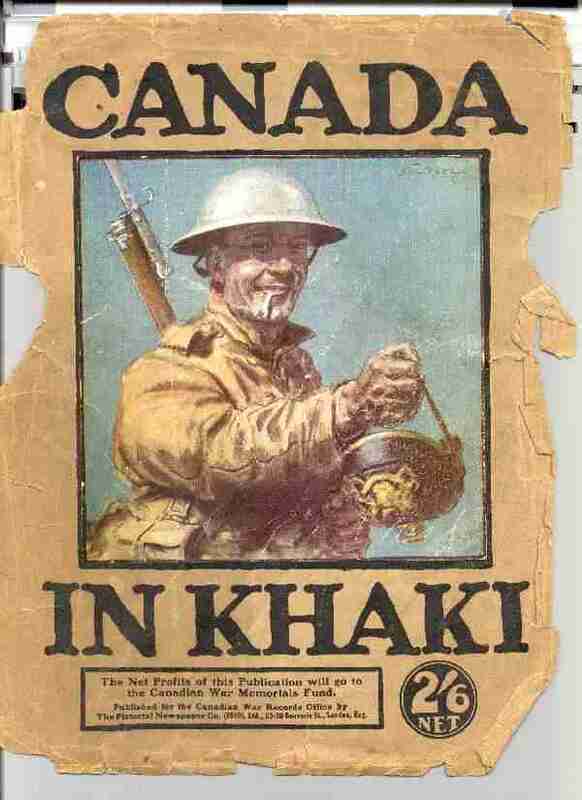 Trench feet, fortunately, were unknown on Vimy Ridge, owing to unremitting attention which ensured nightly rubbing of the feet with whale oil, and a plentiful supply of socks, for which all thanks are due to the women of Canada. It had been a hard, hard winter, but the 102nd had won through and found itself ready at the end of March to carry out the second section of operations which culminated in the glorious victory of Easter Monday. The second section opened with half the Battalion at rest in St. Lawrence Camp and the other half located at Berthonval, whence parties were furnished nightly to the front line to dig an Assembly Trench for the impending major operation. A training course was taped out in the grounds of the Chateau showing the exact positions of the objectives to be taken in the grand assault, and the men rehearsed "going over" wearing the battalion equipment which they would be carrying on the day itself. Nothing was left to chance. By the time that the Battalion was ordered into the trenches, not only the commissioned and non-commissioned officers, but every individual man, knew what he had to do and when he had to do it. This training was carried on under very trying weather conditions, which grew worse each day, ending with a heavy snowstorm on April 2nd, which gradually assumed the proportions of a blizzard on the following day. Through this the Battalion went forward, on April 3rd, leaving the camp at 9.30 a.m., "A" and "B" Companies going straight through to Cavalier Tunnel, "D" Company with Headquarters moving as far as Music Hall and "@C" Company being posted in Berthonval Wood. The next six days saw an ever-increasing artillery fire from our own batteries, with such feeble response from the Hun that grave fears were entertained lest he were already retiring from the Ridge in his own time. On April 6th our artillery started wire-cutting, but weather conditions were such that the hour for attack, which had been set for 5.30 a.m. on April 8th, was postponed for twenty-four hours. It was not, therefore, until noon on the 8th that the whole Battalion assembled in the long caves and tunnels running from Zouave Valley to the front line on which the men had worked so laboriously for the past three months. Here they rested until 8.30 p.m., when the four Company commanders, Lieut. J. H. Wilson, Lieut. E. J. Peers, Major R. G. H. Brydon and Lieut. H. G. Dimsdale, reported to the Acting C.O. for final instructions; these were given and then the companies left for their appointed positions. In the forthcoming operation the 102nd Bn. was supported by the 54th, which was to pass through the former when the first objectives had been taken, thus pushing the attack further home. On the left flank was the 87th Bn., similarly supported by the 75th. On the right lay the 42nd Bn., a connecting link between the 102nd and the "Princess Pats." All was now in readiness. It was past midnight, and the dawn of Easter Monday would see "Warden's Warriors" in the thick of the biggest fight in which they had yet been engaged. Outside the weather had grown steadily colder, and when at the stroke of 5.30 a.m. the barrage opened, a driving snow was falling. It was just light enough to see, and within five minutes observers. came down to report that the men of the 102nd had gone over as one man in perfect formation. The first report from the front line was brought by a "D" Coy. runner, who brought the news that Lieut. H. G. Dimsdale had been wounded in hand and leg, and in a few minutes that officer appeared en route for the Dressing Station. He stated that the wire had been crossed and that the enemy front line trench had been won. At 6.00 a.m. Lieut. H. M. Bennett, walking wounded and bringing in a prisoner, reported that the second line of trenches had been gained, and forty minutes later Lieut. J. Robbins, also wounded, brought in the news that the Hun had lost his third line of trenches. The 102nd had already captured its three objectives, but it remained for the positions to be consolidated and held against the fierce counter-attacks which were certain to develop. The Scout Officer, Lieut. E. J. B. Fallis, was accordingly sent up to report on this consolidation, as there were rumours that on the right things were not going well; at this time the left flank appeared to be well protected. Before he could reach the line, however, two Runners from "D" Co. came in with the news that we had by this time established two strong points of our own well forward, and had in addition, by a clever circling movement, captured an enemy strong-point on the left of Broadmarsh Crater. No officers, however, were to be seen anywhere; all had become casualties, and the active command of the Battalion in front had devolved on C. S. M. Russell, of "C" Coy., whilst Sgt. D . S. Georgeson, M.M., was holding the Broadmarsh Crater strong-point with a platoon. It now appeared that the 54th, who in accordance with orders had passed through our ranks, had been compelled to fall back and were holding the new front line in conjunction with our men against the massing Hun. Moreover, the affair was not progressing well on our left; the 87th Bn. had not yet gained its objectives, with the result that our flank was in the air and being exposed to terrible sniping. At 9.00 a.m. the Scout Officer reported that consolidation had been completed, but almost immediately afterwards news was received that he had been killed and that C.S.M. Russell had been seriously wounded. In view of the serious aspect of the case, Major Carey obtained permission from Brigade Headquarters to go up in person and reconnoitre the position for himself. Accompanied by Scout Sergt. F. B. Vogel, who was killed "en route," and Pte. J. A. Hall, of the Battalion Runners, he left Headquarters, at 9.30 a.m., returning after three hours, satisfied that the Battalion was securely dug in. But the sniping was terrific, being mainly directed from Hill 145 on the left, and supplies of bombs and S.A.A. were urgently needed at the front. A carrying-party under Lieut. S. F. Knight, the Battalion Lewis Gun Officer, was accordingly organized, and after four attempts this band contrived to win their way through with the required ammunition. During the balance of the day the situation remained unchanged, the men lying well under cover, and at 6.30 p.m: the 85th Bn. captured Hill 145, whence so much of our danger had come, and thereafter, to a large extent sniping ceased. At 7:30 p.m. Major Lister arrived at Headquarters from the Transport Lines with the news that Col. Warden had returned and would be up in the morning. Major Lister then went up to the front and remained there all night. The battle, so far as the 102nd was concerned, was over; the victory won. The Hun had left the Ridge he had held so long and retreated across the flat ground on the other side towards the outskirts of Lens, where he had another line of defence. It but remained to count the spoils and calculate the cost-alas, a heavy one. Our casualties for the day were as follows: -Killed: Major R. G. H. Brydon, Lieuts. R. A. Stalker, E. J. B. Fallis, D. A. Boyes and 113 Other Ranks with 27 Other Ranks reported missing. Died of wounds Lieuts. J.H. Wilson, A. Lineham, and 6 Other Ranks. Wounded: Lieuts. J. Robbins, H. G. Dimsdale, H. M. Bennett, R. S. Wright, W. L. Frame, E. L. Peers, A. C. Buchan, H. T. M. Love, E. G. Lester and 180 Other Ranks. The spoils of war consisted of 119 prisoners; 1 Minnenwerfer; 4 Bomb Throwers; 2 Machine Guns. Dawn broke with snow on the ground; on our own front the day was absolutely uneventful. There was some hope of being relieved that night; but it was finally decided that relief would take place on the morrow. At 10:30 a.m. on April 11th orders were received to move back to St. Lawrence Camp, our place being taken for 24 hours by the 54th Bn. against the arrival of Imperials. The march back to camp was undertaken in the teeth of a heavy snowstorm, which added another hardship to be borne by the already exhausted men, and on arrival we found that accommodation was extremely limited, the whole area being packed with troops. It was the intention that the men should have a thorough rest on the following day, but this was frustrated by sudden orders received to march up to Souchez, in the 10th Brigade area, and support that Brigade. In the then depleted state of the Battalion it was found possible to assemble only 360 effectives, and at 2.00 p.m. that number moved out under the command of Col. Warden. The conditions that prevailed at the Souchez end of the valley were at that time unknown to us, and in consequence the 102nd performed an hitherto unattempted feat in crossing over the duck-walk at Souchez in broad daylight. That no casualties occurred was not the fault of the German gunners, but due to the mud; that treacherous element on this occasion served the Battalion well as the high-explosive shells buried themselves so deeply in the ooze that the effect of their explosion was neutralized. and the attenuated Battalion came out of the line by platoons, but the men were so exhausted that they had to be permitted to make their own way back to camp, and from 6.00 p.m. till after midnight they straggled into St. Lawrence Camp, there to find sleeping accommodation wherever there was room in a hut to squeeze in. The Artillery was moving up as fast as possible, and every available inch of covered space in camp was at a premium. It was, however, for only one night that these conditions prevailed, as on the next day we moved out in small parties to excellent billets in Cambligneul, the village where we had stayed one night on our first entry into the Vimy sector. We come now to the third section of operations, viz. : three tours of duty north of the Ridge, and on the outskirts of Lens prior to the street fighting in the latter town, which will form the subject of another chapter. The first essential after the capture of the Ridge was the construction of roads for the passage of heavy artillery, and on April 21st the Battalion moved forward to a newly-formed camp at La Targette to do its share in this important task. It seemed wonderful to be out in the open on ground which had so recently been the home of the Hun, whence he had directed his devastating fire on all the ground south of the Ridge. Where formerly we had crawled in trenches we now gaily marched overland, and we could also see for ourselves what wonderful observation he had enjoyed of all that had taken place in our area during the past months. From April 21st to May 6th the Battalion was engaged in road-making. The 18-pounders had already gone forward, but every available ounce of man-power was needed to pave a way for the "Heavies." Signallers, clerks, batmen and others usually exempt from such "Fatigues" were pressed into the service; the Transport Lines were combed again and again. By such means, and by the addition of the Brigade Machine Gun Co. and the Brigade Tump-line Section, the 102nd was enabled to supply 600 men daily to the Engineers. The work, though arduous, was fairly safe, and only two casualties, wounded, were reported during this period. On April 24th we moved camp back to a new location just forward of our old Berthonval quarters. The new camp, later christened Comox Camp, lay on a down-like expanse of ground which had not been too badly cut up by shell-fire nor churned into mud during wet weather; water for all purposes had to be hauled a considerable distance and very rigid economy had to be exercised in its distribution, but that was a disadvantage to which we had all been long accustomed. The weather was fine, and during the evenings we were able to enjoy the Battalion Band, whilst in the distance could be seen that famous land-mark, the ruined tower of Mt. St. Eloy. About this time the Transport Lines were moved from Hersin to Carency. On May 2nd the 102nd Bn. was enriched by a large contingent of 30 officers and 260 Other Ranks from the 67th (Pioneer) Battalion, which had been broken up for reason political to make room for the 124th (Pioneer) Battalion, an Eastern aggregation. It was a sad blow to befall a very fine Battalion with nine months' service in France to its credit, but it was pure gain to the 102nd, which received a most welcome number of the finest kind of reinforcements. With this draft came the Pipe Band under Pipe-Major W. J. Wishart. It had long been Col. Warden's dream to have a Pipe Band; whilst at Bordon we had enjoyed (or otherwise, according to our musical disposition) the services of the Pipe Band of the 74th Bn., but we had been unable to retain this; now we had Pipers of our own, though eventually they had to be disbanded owing to establishment restrictions. Numbered amongst these newcomers was Piper James Wallace, of Victoria, a veteran of the Zulu War of 1879, who on a later occasion had the honour of receiving a personal salute from H.R.H. the Duke of Connaught, who singled him out when the massed bands of the Corps played before him at Camblain L'Abbé. On May 6th we moved back still further to Canada Camp, there remaining until the evening of the 10th, when the Battalion fell in and marched off to relieve the 47th Bn. in support on the Vimy-Angres line, with Headquarters in a commodious concrete dug-out in the railway embankment. One platoon per company was detailed to report to the 50th Bn. in the front-line trenches, which had been hastily constructed and were both shallow and exposed, with the result that casualties were heavy. On the following night we relieved the 50th, a difficult operation, as owing to some misunderstanding we had to find our own positions; in reconnoitering "A" Coy. 's position Lieut. C. G. Huggins ran into a German patrol of six men whom he successfully put to flight; a very brilliant young officer who, alas, fell a casualty during the tour. This tour, which is generally referred to as "The First Triangle," afforded nothing spectacular in the way of operations, but much good work was done in improving the front line, with the result that on handing over to the 78th on the 20th the latter unit found a line of trenches well dug, straightened and secure. The morning of the 18th was marked by a minor operation to be carried out by "D" Coy. in co-operation with the 87th on our right. The 139th Brigade on our left was putting on a raid, and under cover of a feint barrage on our front "D" Coy. was to establish a post 100 yards in advance of our line; the 87th on the right were to do the same and connect with our men. Unfortunately the latter Battalion failed to succeed, and instead of finding them connecting on the right, "D" Coy found the Hun attacking from the rear and flank; our-men drove back the enemy, but were compelled to abandon the post. On the 20th we were relieved in the front line by the 78th, and in support by the 85th, the Battalion marching back to Vancouver Camp, Chateau de la Haie. The shelling throughout the tour had been heavy, with the result that casualties were numerous, Lieuts. C. G. Huggins, C. de West, J. S. Rodgerson and 21 Other Ranks being killed, and Lieut. J. E. Manning with 92 Other Ranks being wounded. On the day on which we came out of the line R.S.M. Long, who had filled the position of Regimental Sergeant-Major since the inception of the unit, left the Battalion to take up a position with Division; he was later appointed an Instructor in the Corps School, thereafter being transferred to England to fill an important position at Bexhill. His last act before leaving was to organize a Sergeants' Mess, which up to that time had always been found to be an impracticable institution, owing to the impossibility of obtaining accommodation, and on May 23rd, for the first time since leaving England, a Sergeants' Mess was inaugurated. The retiring R.S.M. was succeeded in his duties by C.S.M. Mirams, who had joined the unit on the 2nd inst. from the 67th and was later confirmed in his new rank. On the 24th Col. Warden took over the duties of Brigadier, owing to the absence of Brig.-General V. W. Odlum on leave, and Major F. Lister and Major H. B. Scharschmidt were appointed temporary C.O. and Second-in-Command respectively, Major A. B. Carey having left the 102nd on the 22nd inst. to take over the command of the 54th. On the 28th the Battalion moved up to Comox Camp. The fortnight which elapsed between the operations known as those of "The First and Second Triangle" was spent in very severe training for the strenuous fighting which the second operation was to entail. The forthcoming tour was to see the 102nd for the first time at grips with the Hun, swaying back and forth before winning the gage of victory. In previous offensives victory had been "rushed" and some period of time afforded for consolidation before the counter-attack developed; the Second Triangle was to see fierce hand-to-hand fighting before the victory could be counted sure. Careful rehearsals of the proposed operations over a taped-out course were carried out; a miniature out-door map of the enemy's positions was constructed by the Engineers and elaborately explained to all ranks, and it was a well-instructed unit that moved up the line on June 3rd under the command of Col. Warden, who had been relieved of his duties as Acting-Brigadier by the return of General Odlum. Three important tasks were set the Battalion on this tour; one was to capture and mop up the series of trenches known as "The Triangle"; the second to capture a strong-point consisting of a concrete machine-gun emplacement set in the railway embankment and formidably protected; the third to capture, consolidate and hold a line east of the Generating Station, establishing thereby a new front line. All these tasks were eventually accomplished, but not without bitter and fierce fighting. On June 5th, "D" Coy., under Major H. B. Scharschmidt, under cover of a rifle grenade and machine-gun barrage, managed to occupy the Generating Station and advance in the direction of the Brewery and the suburb of Leaurette, but this success was offset by the failure of two attempts to capture the strong point referred to; the Battalion also sustained a serious loss in the gassing of Major Scharschmidt who was so severely affected as to be permanently invalided out of France. A third attempt to capture the strong-point on the 7th failed of its purpose. On the following day two important operations were carried out. No. 6 Platoon of "B" Coy., under Lieut. G. Lowrie, was detailed to attack "The Triangle" and to hand same over to the 5th Leicesters on our left. The attack took place at 8.30 p.m., and at the first assault Lieut. Lowrie was killed, his place being taken by Lieut. J. G. Knight: under a hail of machine-gun bullets and high-explosive shells the men cut through the wire and bombed their way to the enemy positions; the resistance encountered was very stubborn, but "The Triangle" was eventually captured, together with 15 unwounded prisoners, and handed over to the Leicesters, and No. 6 Platoon returned to its starting point. Throughout this operation visibility had been hampered by smoke both from the barrage and from a burning coal dump in Fosse 3, but the affair had been brilliantly conceived and as brilliantly carried out, earning the following commendation from the Brigadier addressed to the C.O. : "Please convey to Lieut. Knight my sincere appreciation of the work he did on the night of the 8th inst. The operation in "The Triangle" was as brilliant as anything I have seen in France." The second operation did not commence until 11:45 p.m. This was an attack on the whole Battalion frontage, with the intention of capturing and consolidating enemy positions, establishing a new front line and mopping up all enemy dug-outs between the Generating Station and Souchez River. "A" Coy. and one platoon of "C" Coy., under Maj. R. J. Burde, M.C., were detailed for this task. "C" Coy. 's platoon managed to get round the wire, but "A" Coy. found the wire impassable and, in spite of a second heroic attempt under Sgt. Z. Kirby, who rallied the men in a desperate endeavour to penetrate to the enemy's position, the troops had to be recalled to their jumping-off place and to consolidate there. Two hours later the disheartening news was received that the Leicesters had been forced out of "The Triangle," which was once more in German hands. The main objects of the two operations had not been successful, but the enemy dug-outs had been thoroughly bombed and enormous casualties had been inflicted. The balance of the day, June 9th, was quiet; hardly a shot was fired, but plans were being formulated for another attack on the 10th. Again the attack took a dual form. A platoon of "A" Coy., under Lieut. C. S. Griffin, was ordered to capture, mop up and hold a trench known as "Calico-Candle" to its junction-with Canada trench, and to carry out the same operation with Canada trench; the first part of this plan was successfully carried out, but Canada trench was found to be non-existent, having been completely demolished by shall fire and affording no sort of cover against a tempest of shot; -further advance was impossible. The second attack was directed against the concrete gun emplacement which had already resisted three attempts at capture, and took the form of a stealth raid by a bombing section of "B." Coy., under Sgt. A. Law. Unfortunately whilst proceeding down the embankment on the way to the attack he touched a trap wire which exploded a small mine, arousing the enemy to a sense of his danger; the surprise element had failed and our men had to retire under cover, of rifle and rifle-grenade fire and a Stokes gun barrage which caused heavy casualties to the enemy. June 11th was a comparatively quiet day, an inter-company relief taking place, but "D'' Coy. contrived to advance its line 75 yards along Candle trench until contact with the enemy was made, when a bombing fight ensued and a new strong-point was established there. In the meantime preparations were made for a final offensive on the 12th, the main object of which was to capture the concrete strong-point, and to effect a union with the Lincolns who had replaced the Leicesters on the left and were to retake "The Triangle." At 7.00 a.m. an intense barrage was laid down and a platoon of "A" Coy., under Lieut Griffin, assaulted the emplacement and captured it, together with two machine-guns and 16 prisoners, inflicting at the same time very heavy casualties on the defenders. Strong counter-attacks were delivered by the Hun, and Lieut. Griffin's party was reinforced from "B" Coy., with the result that all the enemy's efforts were in vain, the strong-point remained in our possession and connection was established with the Lincolns, who had stormed through "The Triangle" and effected a junction at the point designated. 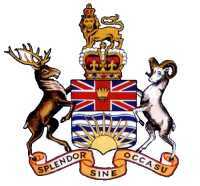 Towards midnight relief was effected by the 85th Bn., and the 102nd moved out to Vancouver Camp. Such, in brief, is the story of "The Second Triangle" tour. one of the most brilliant, as it was one of the most strenuous, in the history of the 102nd Bn. In nine days the Battalion, or some substantial part of it, had "gone over the top" six times; in the face of desperate resistance it had eventually carried out all the tasks assigned to it, and in addition to immeasurably strengthening the Canadian positions in the area it had inflicted incredible casualties on the enemy. But our own losses were found to be very heavy. Lieuts. E. J. Norwood and G. Lowrie and 25 Other Ranks were killed; Major H. B. Scharschmidt, Major W. Bapty, Lieuts. L. A. Gritten, M. A. M. Marsden, C. S. Griffin, S. J. L. Chalifour, F. Richardson and 145 Other Ranks were wounded, whilst six Other Ranks were reported missing, making a total of 185 casualties out of the 563 6ffectives who went into the line. For the benefit or many who believe that the moving-pictures taken under the auspices of the Canadian Records Office are "faked" it may here be related that during this tour the official photographer appeared at Battalion Headquarters one evening an hour before the double offensive was due. He had been sent up in view of the importance of these operations, and requested to be forwarded up the line. The C.O. promptly detailed Major E. J. Ryan to take him up to "D" Coy. 's Headquarters, and he was subsequently posted in "No Man's Land" beside the Power Station, where he established himself with his camera. When the action started the shelling was so terrific on both sides that it was impossible to see ten yards in any direction, dry mud was being blown from two to three hundred feet in the air, and this, with the smoke, made everything as dark as night. He was therefore unable to take any pictures and returned to Headquarters, merely remarking that there was rather warm work going on up there, about the hottest he had yet been in, and that if the 102nd got through they were heroes every one of them. Fifteen months later we met this same photographer during the offensive of September 2nd, 1918, when the Hindenburg Switch line was in process of being smashed. This concludes the story of the series of operations conducted by the 102nd Bn. in the Vimy Sector; though we were constantly in the same area, subsequent operations are referred to under other designations. For over five months and a half we had fought along the Ridge, and now on its crest stand two monuments closely inscribed with names; one is erected to the memory of those brave men who laid down their lives during the long months of preparation or during the three tours which succeeded the great victory of April 9th, 1917; the other to those who fell on the day of the great victory itself. On one or other are inscribed the names of all who made the Supreme Sacrifice from the date of our entry into the Vimy Sector to the conclusion of the battle of the Second Triangle.